Grenades in Your Tackle Box?! Getting hooked on “Mobfish Hunter” fishing game is like shooting fish in a barrel! 50% Bulldog, 50% Piranha, 100% Addictive! Set in the year 2020, after the greedy Autocracy has stripped the world of rare Earth elements, disastrous pollution has wreaked havoc on our once-beautiful oceans. 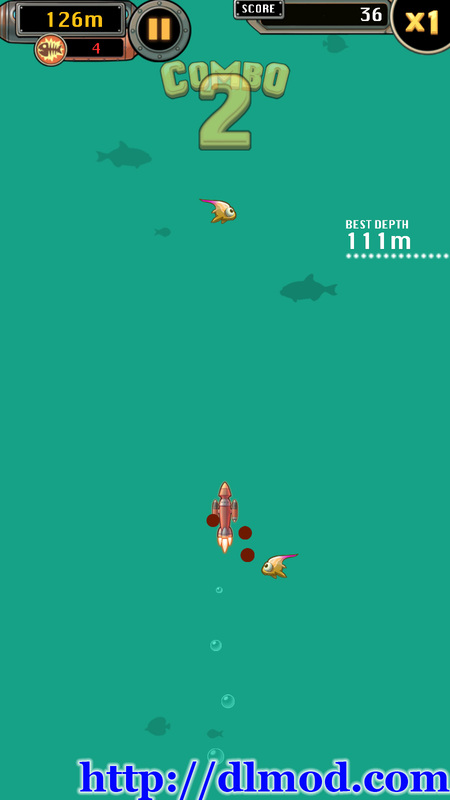 Now the world�s fish have mutated into dangerous new species known as Mobfish. To combat these vicious critters, a new class of Mobfish Hunters emerged ? and it�s up to you to rise through their ranks. Trick-out your fishing lures with a variety of projectile and melee weapons to rid the seas of Mobfish and become a champion Hunter.
? 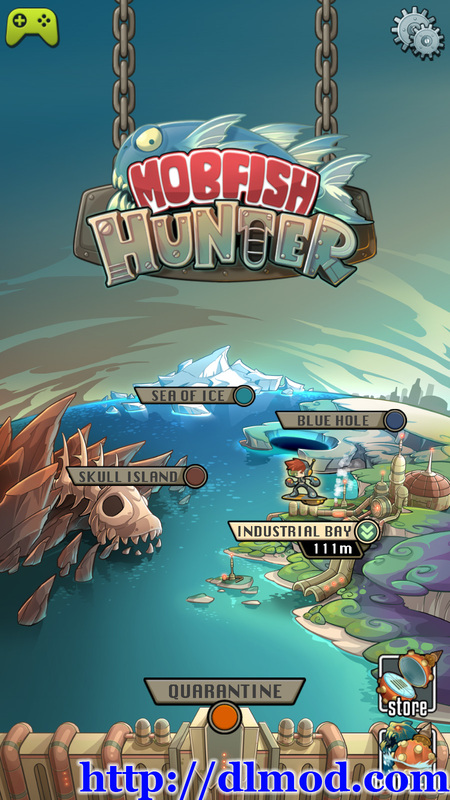 Set in the Mobfish Hunter world, each zone includes its own species of Mobfish and challenging hazards.
? 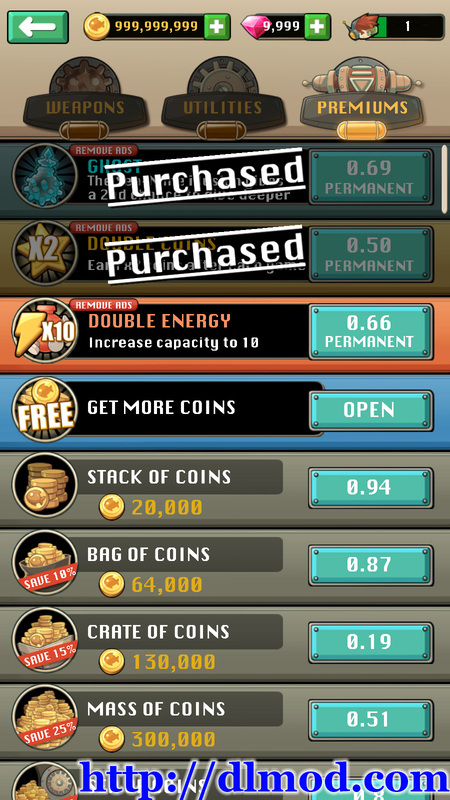 Quarantine Zone with over 110 levels and more to come.
? Nine Crazy Weapons: Spend the loot awarded for successful fishing expeditions to upgrade a variety of Sea-Mine lures with spinning blades, spread-shot projectiles and heat-seeking abilities.
? 60 Power-Chip variations and over 50,000 combinations of playing style.
? Customizable Utilities: Plum the inky depths with three additional utilities that allow your Sea-Mine to dive deeper, move more quickly, and illuminate murky waters.
? Six Leaderboards: See where you rank among Mobfish Hunters locally, regionally and all over the world.
? 30 Achievements: Test your hunting skills and expand your collection of rare Mobfish, as you work to complete these rewarding challenges.
? Facebook Integration: Invite Facebook friends and compete for high scores.
? All progress can be synced across multiple platforms and devices. Requirement: Android 2.3.3 and up.